Welcome! 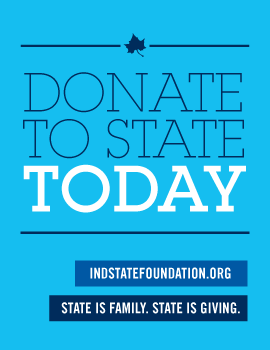 We are excited you are considering Indiana State University as one of your college choices. Transfer Equivalency Self-Service is a transfer tool that will allow you to preview how your courses from other institutions will apply towards your degree progress at Indiana State University. The transfer tool is especially designed to help prospective transfer students to Indiana State view how their transfer courses will be applied at Indiana State. Current ISU students should always plan with their advisors before taking courses at other institutions to meet their degree requirements at ISU. Transfer Equivalency Self-Service uses the same database of transfer equivalencies that ISU uses to evaluate transfer credit. ISU reserves the right to make changes to these equivalencies where necessary between now and the time you enroll at ISU and have your transfer work evaluated for credit. Login! You can login anonymously, or create an account. This account is not required, but can be helpful if you wish to review the information you've entered in the future. Answer a few questions. You will be asked to fill in some details on your planned matriculation at ISU: when you plan to attend, which major and minor (if any) you plan to pursue, etc. Enter the courses you've taken. You will be asked to enter each of the courses you've taken at other institutions: where you took the, when, what grade you received, and other details. View your MySAM degree audit. Entering the above will allow you to view what your prospective degree audit will look like at Indiana State University. You'll see which courses will be applied to your Foundational Studies requirements, which will meet requirements in your chosen major or minor, and which can be accepted for credit, but will not be applied to any major or Foundational Studies requirements. You'll also see which courses cannot be accepted for credit. Please make sure you have enabled pop-ups on your browser to view your MySAM degree audit. You can view more detail on Indiana State's transfer credit policies at Transfer Guidelines. If you don't find a course you took in our database, it may mean the course has not yet been evaluated by Indiana State faculty. Once you have been admitted to Indiana State University, an official transfer evaluation will be completed. All coursework will be reviewed at that time. If you have completed or plan to complete the Indiana State General Education Core, any Indiana Transfer Single-Articulation Pathway, certain other Associate degree programs, or any program with an articulation agreement, portions of your Foundational Studies and/or Major requirements may be met by these accomplishments. Transfer Guidelines has more information on how these are applied. Your prospective MySAM degree audit evaluates only the individual courses you've taken, and will not reflect completion of these programs. Questions regarding transfer credit or assistance using the transfer tool can by sent to the Office of Registration and Records. Use the transfer tool now!